Sandanka is blossoming from May through December. People regard it as one of the most beautiful flowers in Okinawa. 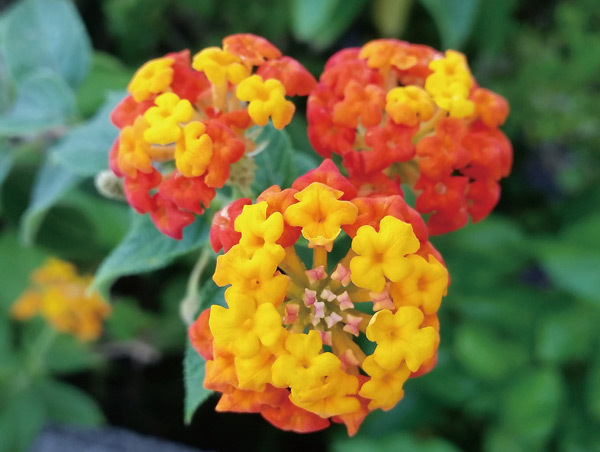 It’s grown commercially in gardens on Okinawa and its flowers are colored red, yellow, orange, and white. 20 to 30 little four-petal flowers grow in clusters that are 5 to 10 cm wide. The plant itself is between 20 and 100cm tall. You may have seen them before as they grow in parks, schoolyards, and along streets.